Virtual Hosting is used to host multiple websites on a single web server. The web server might be anything of Apache HTTP web server, Microsoft IIS, Lighttpd, openLiteSpeed, etc. 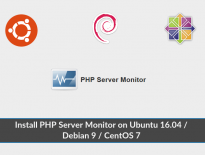 This guide will show you how to setup Apache virtual hosts on Debian 9 / Ubuntu 16.04 / LinuxMint 18. With the Name-based virtual hosting, we can configure multiple websites on single ip address, whereas in ip based; we can configure only one website on single ip address. For a demo, we will be hosting two websites named “www.itzgeek1.local and “www.itzgeek2.local” on a single web server. Before installing Apache, update the repository index. Install Apache Web server using the following command. Once it is installed, the system will automatically start the Apache service. To test your installation, open up a web browser and point to the URL. You would get the default page something like below. 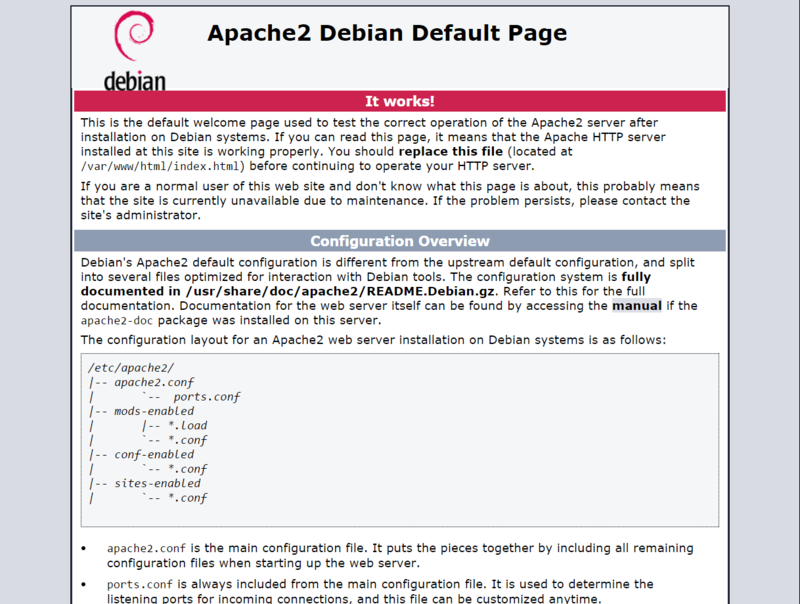 Below image shows you the default page of Apache2 on Debian 9. Now, we will create a directory to hold our web documents, i.e., .html files. Use the following command to create a directory for each website, “www.itzgeek1.local” and “www.itzgeek2.local“. Now, we will put an index.html file in the both directories to check whether the name based virtual hosting is working or not. Create an index.html for “www.itzgeek1.local” virtual host. Place the below content into the file. Create a index.html for “www.itzgeek2.local” virtual host. By default, apache service runs as a www-data user. Now, both virtual directories that we created earlier are owned by root, and we must change the ownership to www-data so that that apache server can write and read data into it. Also, you can make virtual directories world readable. Now, we are all set to create a configuration file for virtual hosts. Now, create a virtual host file “www.itzgeek1.local.conf for the virtual host “www.itzgeek1.local. The virtual host configuration file should end with a .conf extension. Same way, create a second virtual host file. Place the following content into the file. After creating the virtual host files, enable new virtual hosts that we created just now by creating a symlink to the sites-enabled directory. If you don’t have a DNS server in your environment then edit “/etc/hosts” file. If you use windows based machines, edit “hosts” file in “C:\Windows\System32\drivers\etc” directory. Open up your browser and point to the URL http://www.itzgeek1.local or http://www.itzgeek2.local. You should see the demo pages which we created earlier.